In 2018 our Trustees made the decision to transition from our current legal status as a ‘standard registration’ charity to a Charitable Incorporated Organisation (CIO). In January 2019 we made our application to the Charity Commission to make the transition to CIO and our application was approved in a record breaking 48 hours! For anyone who knows the Charity Commission, you will share our surprise and delight in having had our application approved so quickly. CIOs are a relatively new form of charity that the Charity Commission introduced in 2013. 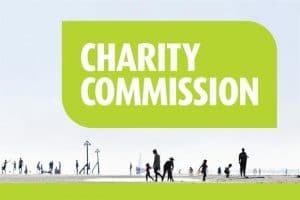 Charitable Incorporated Organisations (CIO’s) provide a means for charities to incorporate and gain the benefits currently available to companies without the burden of dual regulation by both the Charity Commission and Companies House. CIOs are registered charities and are administered by the Charity Commission. What are the benefits of being a Charitable Incorporated Organisation and why did we change to this structure? A Charitable Incorporated Organisation is a legal entity and can enter into contracts in its own right. Our old unincorporated charity structure meant that our Trustees were personally liable for any debts, property or transactions on behalf of the charity. A CIO may also hold property and contracts in its own name, rather than in the name of a staff member or Trustee, which has advantages with regard to succession of the charity. With our plans to develop both our UK and Kenyan organisations in the coming years, we felt that this new CIO structure was the best fit for our growing organisation. If you have any questions about this please do not hesitate to get in touch with our Chair of Trustees, Andy King andy@raisingfutureskenya.org.uk.